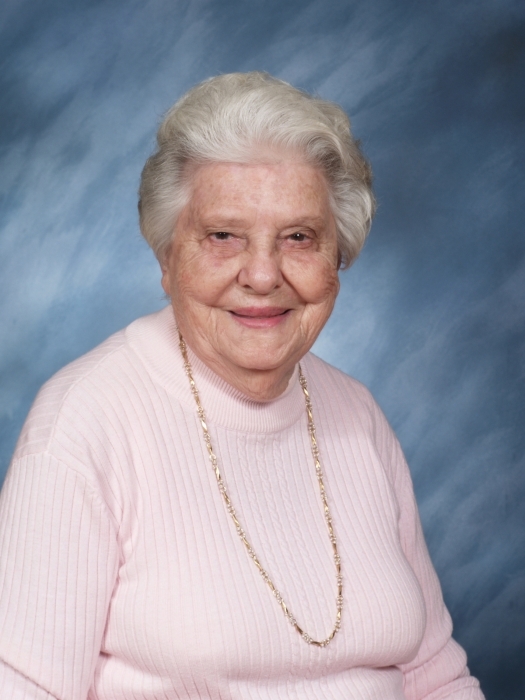 Evelyn Grace Fryar, 89, of 2191 Taylor’s Bridge Hwy, passed away Monday, April 1, 2019 at Sampson Regional Medical Center. Funeral will be held at 2 PM, Saturday, April 6, 2019 at Union Grove Baptist Church with the Rev. Raeford Carter, Jr. officiating. Interment will follow in the church cemetery. The family will receive friends from 6 PM – 8 PM, Friday, April 5, 2019 at Crumpler-Honeycutt Funeral Home, and at other times at the home of her daughter, Brenda, at 137 Boney Mill Road, Clinton, NC. Evelyn, born in 1929 in Sampson County, was the daughter of the late Caston Shipp and Annie Lou Hope Coleman. She was a homemaker and attended Union Grove Baptist Church. In addition to her parents she was preceded in death by her husband, Jesse Thomas Fryar, a sister, Dorothy Jean Price and grandchild, Susan Vann House. Survivors include: children, Alice Faye Fryar Vann of Clinton, Billy Thomas Fryar (Sylvia) of Clinton, and Brenda Kaye Fryar Saunders (Danny) of Clinton; grandchildren, Paula Garris (Will), Jennifer Fryar, Wesley Saunders (Susan), Scott Saunders, Jessalyn Saunders Holland; great grandchildren, Katlin, Colman, Gage, Riley and Liam; and sister, Louise Carter.